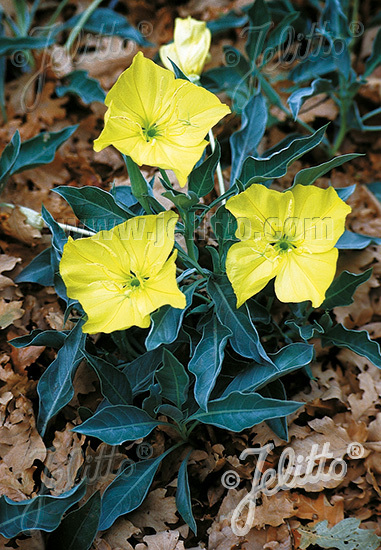 Special Features: Beautiful, silvery foliage, reddish stems and large (ø10 cm), yellow saucer-shaped flowers. Very large flowering. Drought tolerant. Mat-forming though slightly more upright than the Missouri Evening Primrose, OENOTHERA missouriensis (macrocarpa).